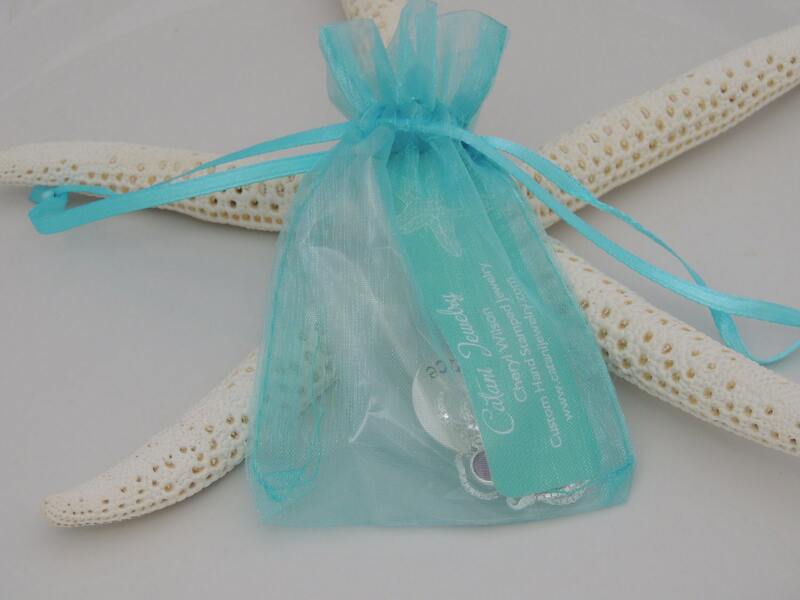 * Baby bracelet pictured is 4.5mm wide. 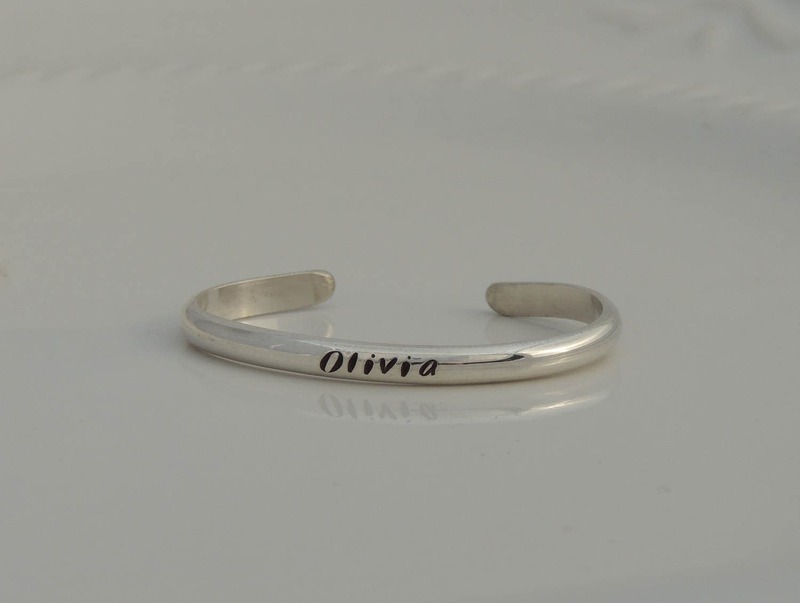 ** The 2.5mm bracelet will be very dainty. 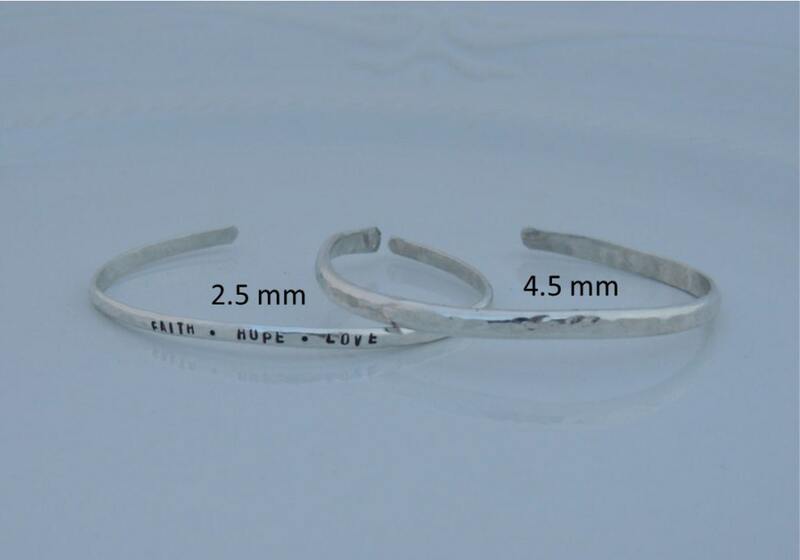 * Modern is only available on the 4.5mm bracelet due to the size of the font. 4. Bracelet will be made to fit an infant up to 6 months old. If you are interested in a larger size, please send me a convo. Thank you. 1. 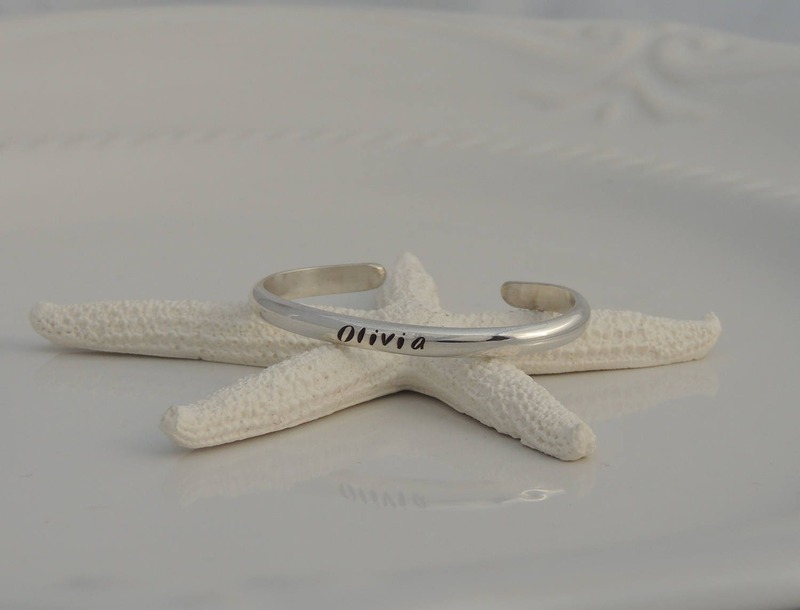 Choose your bracelet width and finish from the first drop down menu at checkout. 2. Choose your engraving options and font from the second drop down menu.